IHG® Rewards Club - Movies - Barney's Red, Yellow and Blue! Barney's Red, Yellow and Blue! 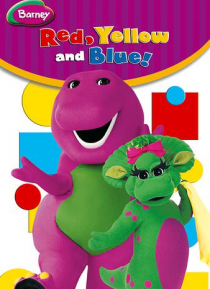 Red, yellow and blue are the primary colors that Barney and his friends need for their color collection. Singing and dancing their way through a color-filled day of learning, they search for red, yellow and blue objects. But how do a flying pig and a haystack fit into the red and blue collections? After Baby Bop donates her yellow blankey, she finds that another blankey just won't do! With Barney,… this celebration of primary colors is primarily fun!